I love just wandering the streets of any city I’m visiting and not having any specific plans. That’s when, in my LDO (Little Doggy Opinion), you find some of the best local restaurants. 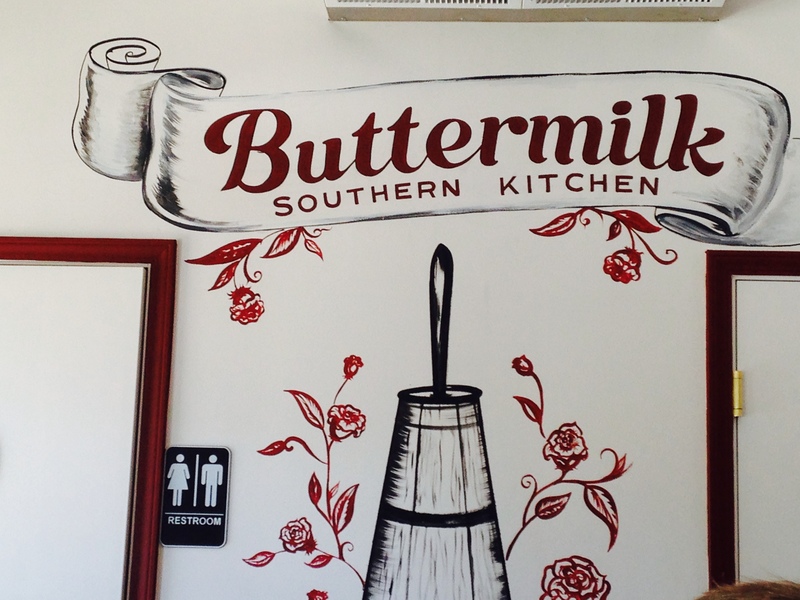 Case in point, Buttermilk Southern Kitchen in the Mission. This was one of the best surprises of my trip to San Francisco so far. The minute you walk into this small quaint restaurant the smell of sweet buttermilk waffles and fried chicken greet you with a warm caress. I had an odd feeling of being at home the moment I stepped inside, then I realized why…Buttermilk reminds me of an upscale Clover Grill (one of my favorite little spots in the French Quarter), and the food is outstanding! Being a lover of all things po-boy, I was intrigued by their version of this New Orleans classic dish. They marinate then grill the shrimp, instead of frying it, and to get the crunch, they crumble house-made potato chips into the sandwich. I was skeptical, but I ordered it anyway. This po-boy rocked this little doggy’s world. Warm, fresh roll, juicy perfectly seasoned grilled shrimp, chips, lettuce, tomatoes, and an amazing variation of remoulade. It may not be authentic, but it could beat the pants off some of the po-boys in New Orleans. If you’re in San Francisco and are craving some food from the south and/or Louisiana, get yourself over to Buttermilk and dig into some amazing food.